UCC24612 is a high performance synchronous rectifier controller and driver for standardand logic-level N-channel MOSFET power devices. By implementing a near-ideal diode emulationUCC24612 reduces losses of the output rectifier and indirectly the primary side losses. The drainto source (VDS) sensing control scheme allows UCC24612 to work with multipletopologies, such as Active Clamp Flyback, QR/DCM/CCM Flyback and LLC, et. Integrated features simplify the design effort, enabling UCC24612 to excel in a varietyof applications and frequencies. 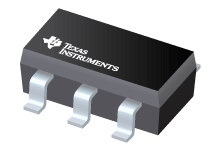 The wide operating VDD and VD voltage ranges enable simpleimplementation in systems with outputs up to 28 V. Efficiency and noise immunity is enhanced withadaptive minimum off-time. Variants UCC24612-1 and UCC24612-2 offer different minimum on-times toprovide additional noise immunity. Robust operation in continuous conduction mode (CCM) is furtherenhanced with proportional gate-drive and CCM cycle limit pre-turn-off. UCC24612 has multiple features that improve efficiency. The fast comparator with shortpropagation delays reduces switching loss. The 9.5-V gate drive clamp reduces MOSFET drivinglosses. Frequency dependent standby modes further decreases standby power. These features helpUCC24612 be part of a greater system that meets stringent efficiency standards such as Departmentof Energy (DoE) Level VI and Code of Conduct (CoC) Tier 2.